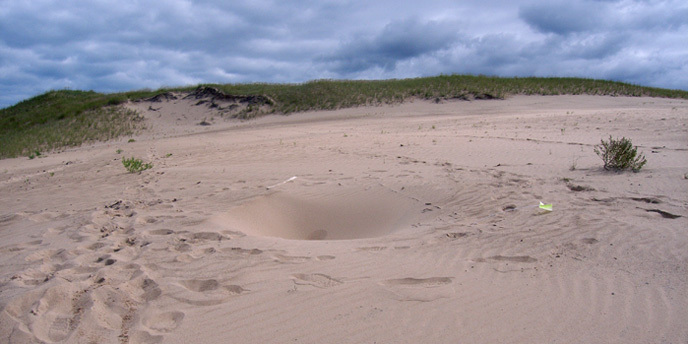 Top 10 holes including the biggest, deepest, scariest, most mysterious, and strangest. In Turkmenistan is the burning, stinking, sulphurous crater known as the Gate to Hell. 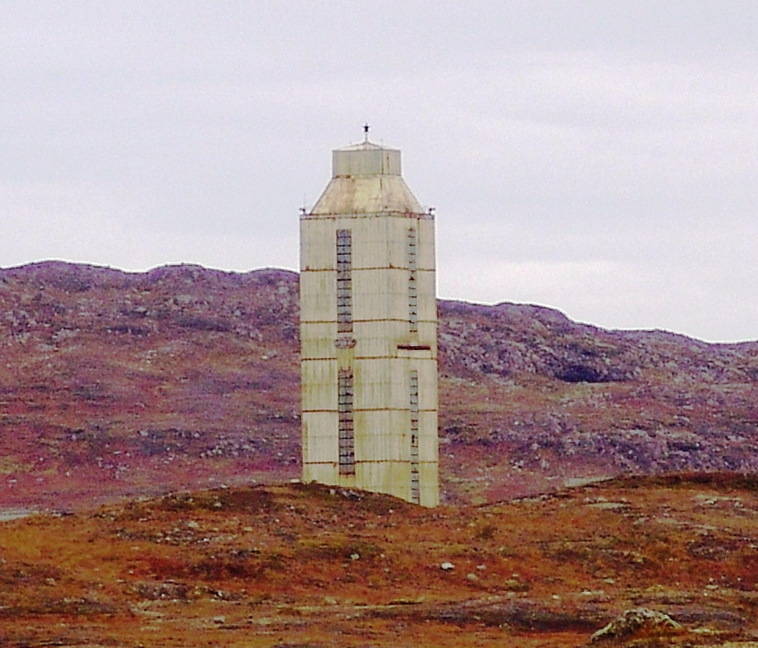 In 1971 Soviet engineers were drilling the area known to hold one of the largest deposits of natural gas. The Well Of Chand Baori. Legend has it that this 13 story water well was carved out of the rock by spirits in a single night, and dedicated to the Hindu goddess of happiness. There are 3500 perfectly symmetrical steps leading to the bottom, which is about 10 degrees cooler than at the surface. 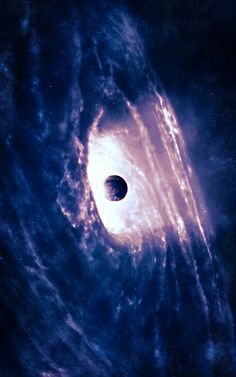 Starting in 1982, the German Ministry of Research began a scientific exploration drilling program, deep into the earth’s crust, that would last more than 12 years and cost more than a third of a billion dollars, their most expensive geo-science project ever. In 2010, a massive hole suddenly opened up in the middle of the city and swallowed a three story factory house, along with fifteen people inside. The cause was attributed to Tropical Storm Agatha, which impacted Guatamala just three days after the eruption of Volcano Pacaya. 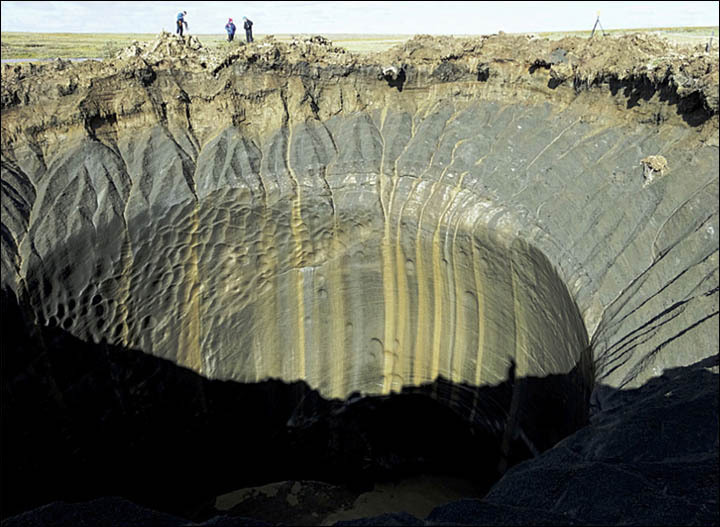 Yet another new geological phenomenon was discovered in 2014 when a reindeer herder discovered a two hundred foot crater in a remote area known as The End Of The World. An amazing new geological phenomenon was only discovered in the last few years, when shifting sands have suddenly opened up massive sinkholes beneath travelers’ feet. 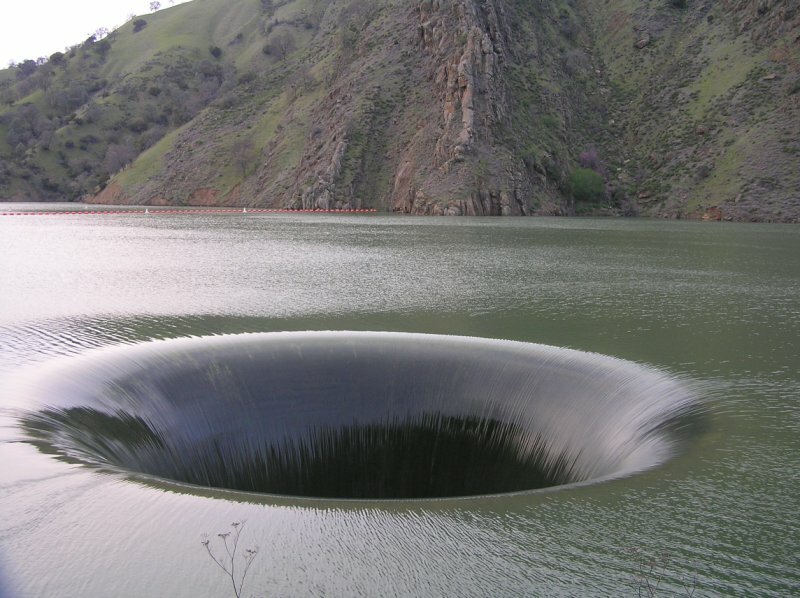 This Majestic spillhole, also known as the “glory hole” is part of the Monticello Dam in Napa County, California. This hole is the largest spillhole in the world and leads down a 304 foot or 93 m tall hole which drains out out of the bottom of the dam. 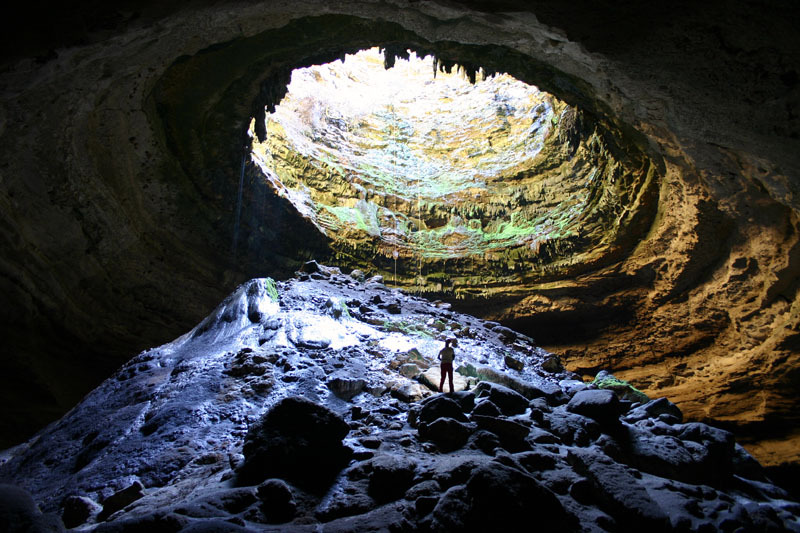 This Texan National Natural Landmark is an enormous vertical cavern 50 feet wide and 350 feet deep. Historically it’s been used as a place of shelter by early American settlers and countless generations of Native Americans. In central Turkey, a man was renovating his traditional home when he discovered a hidden room with a covered hole in the wall. 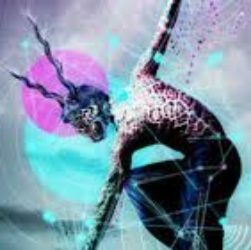 Investigation revealed that the opening led into a massive man-made cave system that had been carved out of the rock over three thousand years ago, to form an underground city. The Oak Island Money Pit. In 1795 witnesses thought they saw pirates burying treasure on a small coastal island in Nova Scotia. So they started digging, and digging… and digging… to over 130 feet deep, with tantalizing clues revealed every ten feet or so, some promising a treasure worth hundreds of millions or perhaps much much more. 10 holes including the biggest, deepest, scariest, most mysterious, and strangest.